The lab's main research interests center around engineering approaches to disease treatment using novel, optically active constructs. Optical-based therapeutics offer some distinctions compared to other drugs. Since light is required for activation, unparalleled control over treatment location is possible, while avoiding damage to other parts of the body. We are interested in developing new light-activated smart agents that can accumulate in targeted tissues and cause the destruction of cancer cells. We discovered a new class of nanoparticle, porphysomes, that are formed from a porphyrin bilayer can passively accumulate in tumors and can be heated using a laser, which causes complete tumor destruction. Additionally the nanoparticles can be visulaized with multimodal imaging. See Lovell et al., Nature Materials, 2011 and Lovell et al., Angewandte Chemie, 2012. We subsequently have found that porphyrin-phospholipid "PoP" liposomes containing lower amount of porphyrin can be permeabilized by near-infrared laser irradiation for on-demand drug release (Carter et al., Nature Communications, 2014). Photodynamic molecular beacons are an emerging concept that allows inducible chemical destruction of a target upon molecular recognition by the beacon. 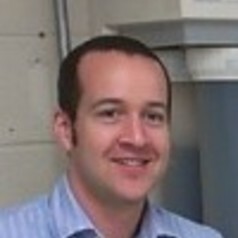 See Lovell et al., JACS, 2011 and Lovell et al., Chemical Reviews, 2010. We are using a novel approach to polymer formation that makes use of porphyrins as the crosslinkers for hydrogels. This results in a entirely new class of polymers with unprecedented porphyrin density, permitting non-invasive monitoring through the skin (Lovell et al., Biomacromolecules, 2011). We subsequently demonstrated that this platform can be adapted for oxygen sensing in vivo(Huang et al., Advanced Healthcare Materials, 2014).